I think Zafon, or the translator, Lucia Graves (since i read the translation in english, and the original version is in spanish), perfectly described the book with their own words. 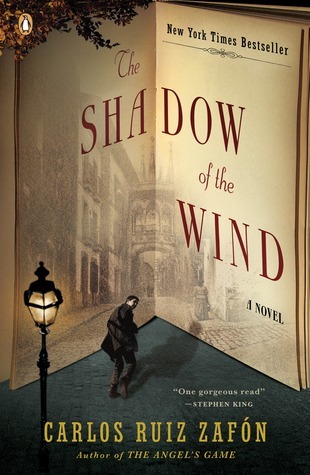 This is the first book by Carlos Ruiz Zafon that i have read. And you know what, a book about books is never failed to have me hooked. From the very start i read that the young Daniel Sempere is taken to “the cemetery of forgotten books“, i knew immediately that i was going to love this book. But it turns out that i wasn’t madly in love as i LOVE the book thief (markus zusak) and the thirteenth tale (diane setterfield), so i gave it 4 stars instead.